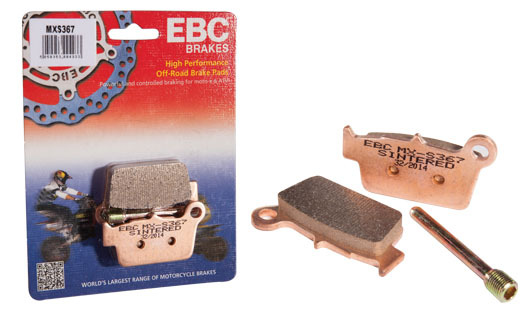 EBC Brakes Direct motorcycle brake pads. 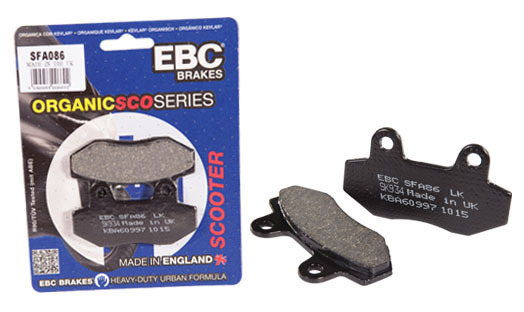 EBC Brakes manufacture a wide range of motorcycle bake pads to fit in a range of bikes including Superbike, Motocross, Big Twin and ATV to suit every riding style and price range. These organic pads are made in the UK and give fantastic stopping power to all street bikes and scooters. 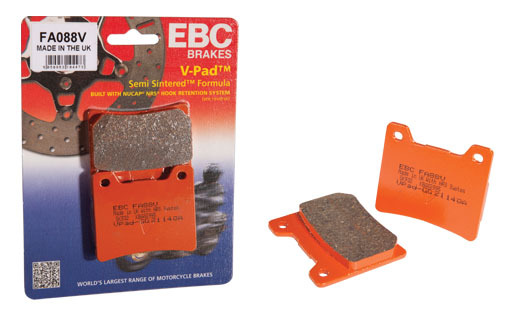 More than 40 million sets of these organic brake pads have been sold around the world over the last 15 years. 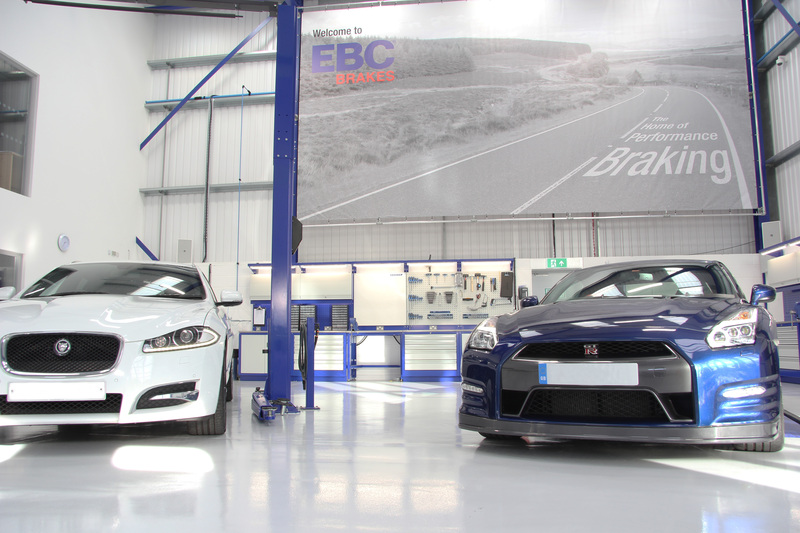 NUCAP NRS technology is used when manufacturing the backplates to ensure there is no change of the brake pad debonding. 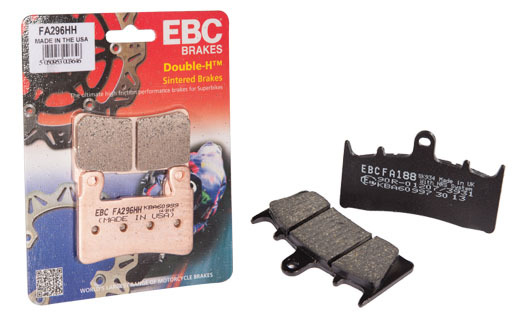 Sintered Double-H brake pads from EBC Brakes are the flagship brake range with HH rated friction. Made at a sintering plant in Ohio, USA these pads will stop you fast in any riding conditions - wet or dry - and give longer life than the organic option. For race use, we recommend that you use EPFA or GPFAX sintered pad ranges. 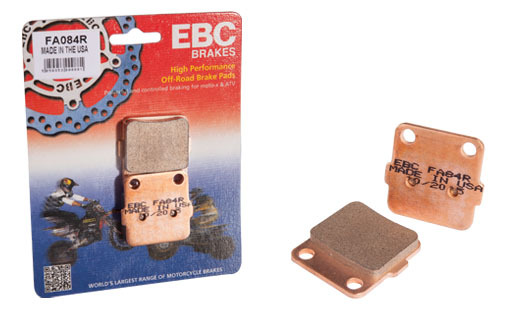 A general replacement pad option from EBC Brakes for urban use - these pads will last longer than most other organic aftermarket brake pads and are also great value for money. 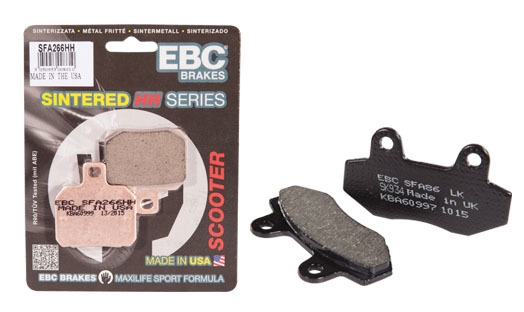 Made in the same sintering plant in the USA as the Double-H series brake pads for street bike use, these pads will last longer than our organic option. For use on faster and heavier scooters. 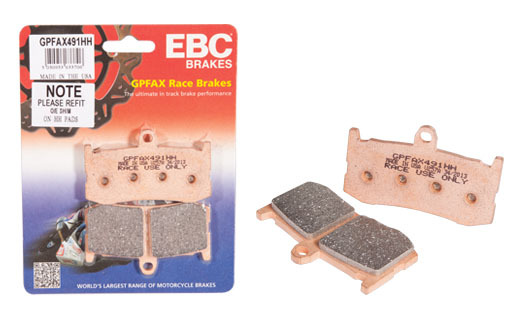 The GPFAX race only pad blend from EBC Brakes will out perform any other brake pad that you can buy. Due to their high friction rating of between 0.6 and 0.7 which gives amazing brake effect they are unsuitable for street use with regular road tires. With perfect heat stability, absolutely no brake fadeand heat cycling, these pads can be used over several races and you can be confident that they will always perform. 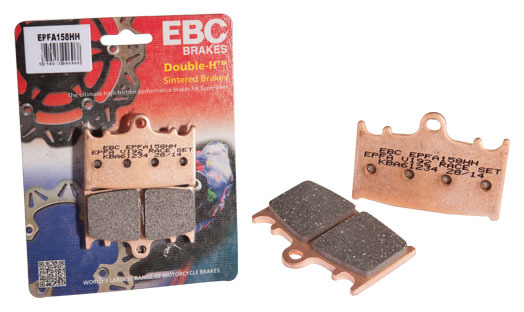 These amazing sintered brake pads may be more expensive than the Double-H brake pads from EBC Brakes but they are worth every extra penny if your budget can stretch that far! With all the same amazing benefits of our Double-H pads, these pads go that bit further with more stability and enhanced friction levels. Suitable for riding to the track, using during track riding and then riding home again while also delivering completely silent braking. 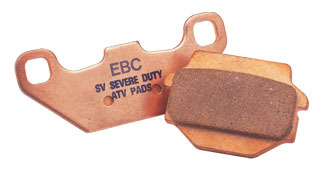 These sintered moto-x brake pads are made in the USA sintering plant with long lasting sintered copper alloy. Featuring a diamond ground surface finish, these pads also include new slider pin kits where available. Perfect for off road race and sport use. This semi-sintered pad has all the best features of an organic pad but with the durability and lifetime of a sintered pad. 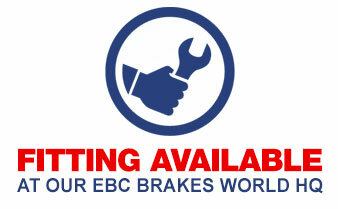 Proven to last as long as the EBC Brakes sintered pads and even longer than cheaper aftermarket sintered alternatives. Made specifically for the classic and heavy streetbike.cruiser market. 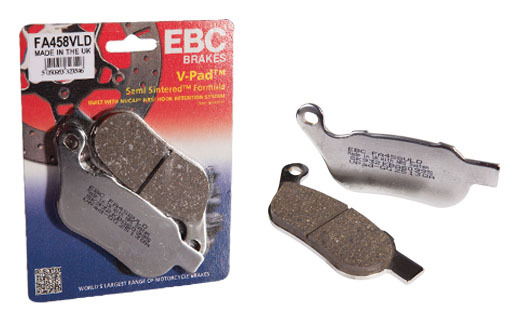 These chrome backed VLD semi-sintered brake pads from EBC Brakes feature all the same benefits as the V pads but with limited edition chrome backing plates. 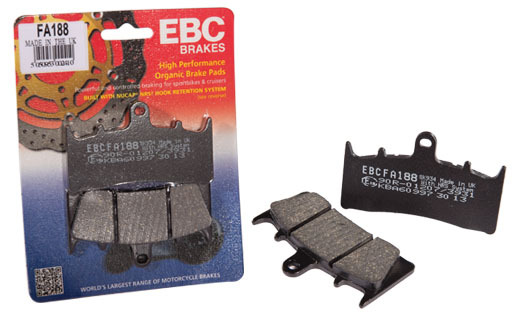 Made using the Nucap NRS hook retention system, these brake pads are guaranteed not to debond. NOT FOR TRACK OR RACE USE.